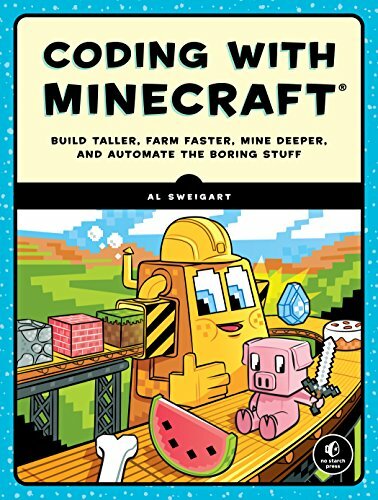 A hands-on introduction to coding that teaches you how to program bots to do cool things in the game you love–Minecraft! This book takes the robotic “turtle” method, and extends it to the 3D, interactive world of Minecraft. You’ve mined for diamonds, crafted dozens of tools, and built all sorts of structures–but what if you could program robots to do all of that for you in a fraction of the time? In Coding with Minecraft®, you’ll create a virtual robot army with Lua, a programming language used by professional game developers. Step-by-step coding projects will show you how to write programs that automatically dig mines, collect materials, craft items, and build anything that you can imagine. Along the way, you’ll explore key computer science concepts like data types, functions, variables, and more.